The next generation iPad won’t be coming with just a higher resolution screen, but with a potentially longer-lasting battery as well. According to CENS, Apple’s battery suppliers Simplo Technology Co. and Dynapack are gearing up for a mass production of ipad 3 battery packs, scheduled for Q1 2012. This implies that the iPad 3 would definitely not be able to launch before the end of this year. The new battery has apparently been redesigned to be thinner and lighter with longer runtimes and is expected to comply with CTIA IEEE 1625 safety standards in the United States. For comparison, the battery in the iPad 2 is rated at 25Wh with up to 10 hours of runtime. 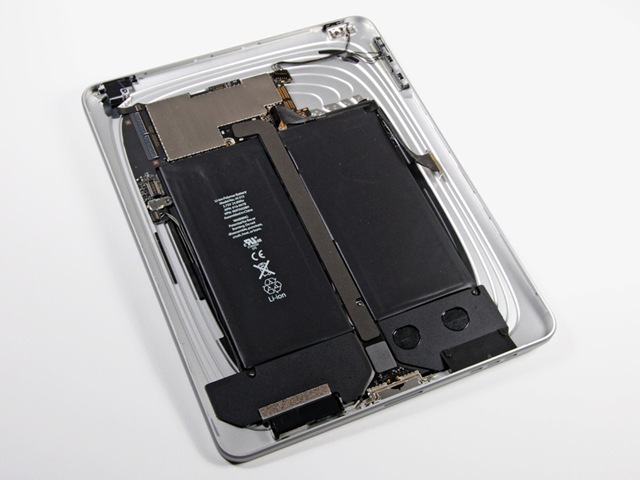 Actual production of the batteries, however, could be anywhere from 20 to 30 percent more expensive than the current production costs for iPad 2 batteries. Whether or not Apple will absorb the possibly higher overhead or pass it along to customers with higher launch prices remains to be seen. Q3 2011 revenues are up 10 to 15 percent for Simplo and Dynapack, who are both responsible for producing battery packs for Apple’s range of MacBooks and iPads. Higher revenues are expected well into 2012 due to the impending iPad 3 launch and rapid production of the associated battery packs.